Venue Doi Mae Salong, in the Northern Thai mountains: the city, founded by ethnic Chinese (remnants of Chiang Khai Shek’s counter-revolutionary army) in the early 1950s, and a former hub of the opium trade the Golden Triangle area became notorious for during the late 70’s and 80’s today offers a surprise the world would have hardly expected. Since the community has turned its back on the opium trade in the mid 90s, it has put much emphasis on reflects on another ancient Chinese tradition – growing and processing tea. As a result, today the majority of the town’s population is now involved with tea on the one or other level. Growers, factories, traders, retailers, tea workers, everybody in Doi Mae Salong today seems to make their living on tea. The Formosa Oolong tea plant species, first imported in 1994 from Taiwan’s Alishan region, were not only successfully cultivated in Northern Thailand, they were even brought to a new level of perfection by the Doi Mae Salong tea farmers. Now, these teas, grown at altitudes between 1200 and 1800 m push to the world market and do not only capture the latter, but also the heart of tea lovers worldwide. Initially starting with Formosa Oolong and Green teas, the town now also produces a unique black tea as well as a variety of distinct, naturally flavored teas, and herbal teas. Siam Tea Shop has invested much time and effort identifying a supplier out of the plethora of small, medium and large producers, who would not only offer the whole range of Green Teas, Oolong Teas and Black Tea grown and produced in Northern Thailand, but does so in a reliable and quality-consistent manner and with a genuine passion for tea. Only unsprayed, high quality teas make their way into the production of our supplier, a sather small, family-run tea growth and processing venture, where we consider ourselves lucky to be able to offer the fruit of their skilled work, based on many years of experience, to tea lovers in the US, Germany and wordwide. In our series Great Teas of China, we introduce you to a selection of the most famous and finest Chinese tea classics on a “Best Quality at affordable Prices” basis. The selected teas and representatives of the categories Green Tea, Oolong Tea, Black Tea, White Tea and Pu Erh Tea were chosen by means of a comprehensive sampling process involving the sampling of a variety of teas from a range of Chinese suppliers for each type according to ambitious quality criteria as well as a reasonable value for money ratio and compliance with relevant EU regulations. Many of our Chinese Teas are certified health and environment-friendly. Sencha, Bancha, Kabusecha and Gyokuro Tea… the full spectrum of Japanese Green Teas as well as their most popular derivates such as Genmaicha and Matcha Tea available at Siam Tea Shop. 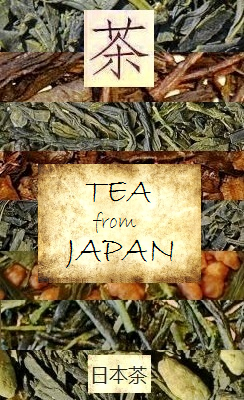 All Japanese teas were selected according to strictest quality criteria and taste requirements and exclusively come from health and environment-friendly-certified suppliers. Whether fresh Shincha Tea, deep-steamed Fukamushicha, Genmaicha with or without Matcha, Spring Bancha or Kyobancha, Hojicha or different picking standards of Kabuse Sencha Tea, you will find all essential variations of characteristic Japanese Green Teas here. Our “Ancient Snow Shan Teas” are a line of 4 true artisan arbor teas from Vietnam. The ancient tea trees serving their leaves for this grown in foggy high mountain areas in the Vietnamese province of Ha Giang. There, they thrive in their natural, biodiverse habitats until today. As artisan teas, not only the picking, but also most of the processing is still done by hand. Both picking and processing quality of these teas define a new level of excellence within their class. So, if you haven’t tried Ancient Snow Shan Green, Black, Silver Needle and Tra Pai Hao tea, you’ve missed one peak of artisan arbor teas. Our partner in Laos, Kinnari Tea, shares with us the passion for true artisan arbor teas. So, they have teamed up with local mountain tribes at Bolaven Plateau and Xiengkhouang in Laos, in order to produce some of the best of those. At this, they combine their own high competences with local traditions and ancient Yunnan know-how and styles. As a result, their impressing range of artisan arbor teas is among the finest south east Asia has to offer if it comes to tea. 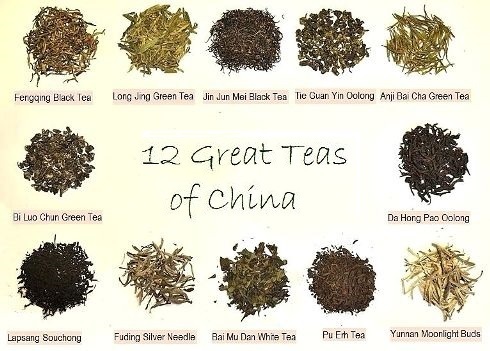 If you haven’t tried their raw sheng Pu Erh tea, golden tips black tea, white moonlight or white silver needle tea, you haven’t got the whole picture of fine teas from south east Asia yet. *Choice and amount of free samples are at Siam Tea Shop’s discretion and are, of course, based on the well-understood interest of the customer as well as being within the reasonable scope of the feasible.